‘What is the world like on the other side of the glass?’ Alice wondered. Author Lewis Carroll knew that after Wonderland, there was still more story to tell: there was something beyond the glass. More than just colorful decoration, the colorful faceted glass windows in our Sanctuary (Wells Memorial Windows) and Music Suite (Gilpin Memorial Windows) tell the story of our life together: scripture, history, music, nativity, baptism, communion, resurrection, mission. What do they say to others about who we are as a church, as people, as God’s beloved? 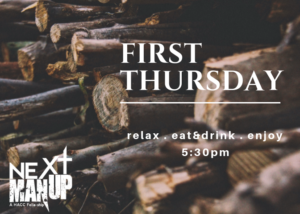 Bring your lawn chairs, a snack or two, and invite a friend to join you on our northwest patio. 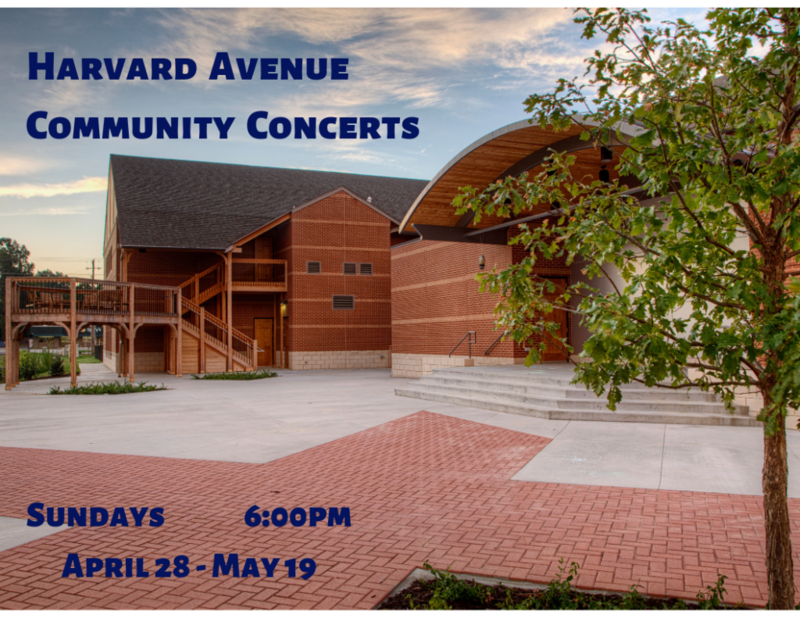 These concerts are all-ages events – since our patio backs up to our community garden and Manion Park, there’s plenty of space for kids to run around too! – entirely free, and open to the public. May 12 – 6:00pm Mother’s Day! classical, rock, pop, everything in between – all on viola and harp! 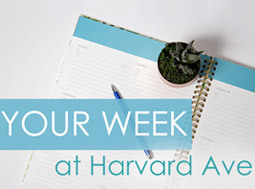 Wondering about joining Harvard Avenue ? Be Here! Held every 6 – 8 weeks, the Be Here! event is a great evening of casual conversation, questions and answers, time with pastors, and meeting others who are also new(ish) to the Harvard Ave community. 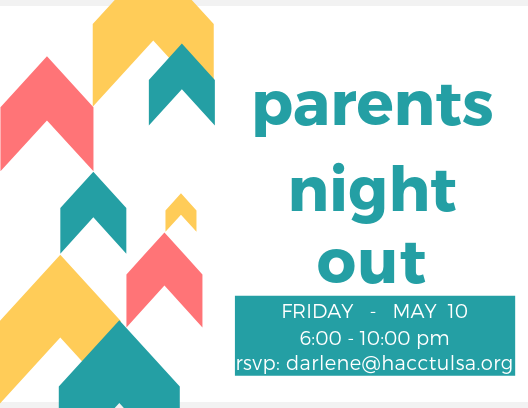 A few of our Harvard Avenue families have created a ministry to host these events in their homes, providing a relaxed atmosphere and great time together. 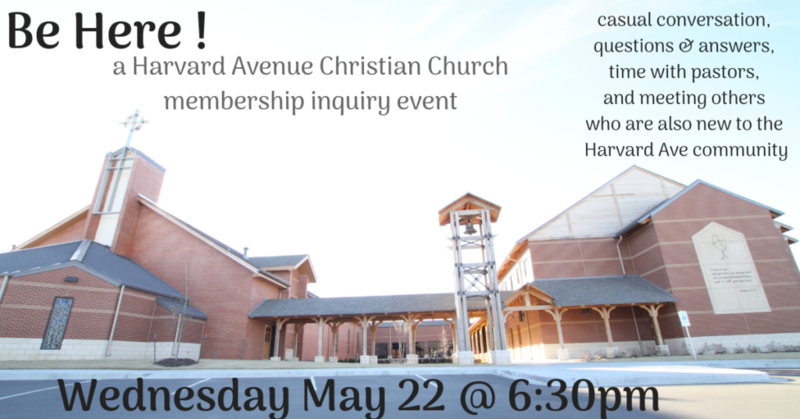 This is a wonderful opportunity to explore connections in church life; learn about our programs, practices, and ministries; and discover what it might mean for you to become a member of Harvard Avenue Christian Church. 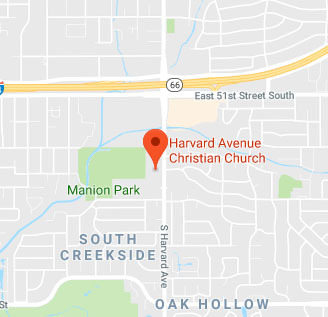 To RSVP and for address/directions – or with other questions about the people and ministries at Harvard Avenue Christian Church – contact Connections Pastor Courtney Richards. “Do you have any rhythm?” This is a paralyzing question to most anyone who fears the dance. We may sputter back, “I’ve got two left feet,” and trust that ends the awkward thought of getting out there on the dance floor. The quip many offer to encourage soul-freedom is “Dance like no one is watching!” Like dancing for some, spiritual practices, or finding a sacred rhythm, of the spirit may welcome similar anxiety. What if, however, we could arrange our lives in such a way that spiritual transformation is more likely? The season of Lent, forty days of deepening our faith focus, is an ideal time to examine such a rhythm more closely. 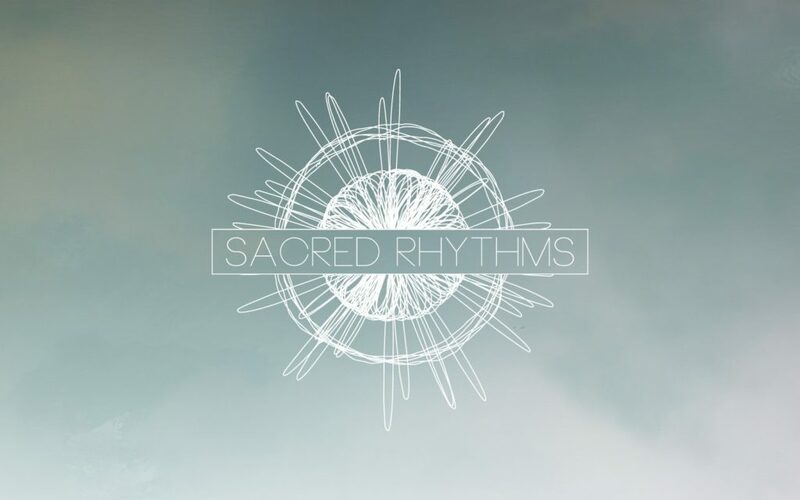 Inspired by Ruth Haley Barton’s “Sacred Rhythms,” join us for worship during Lent to find the groove of faith that just may put us in closer step with Jesus. Richard Rohr says, “A good journey begins with knowing where we are and being willing to go someplace else.” The sacred season of Lent always affords us such an opportunity. What is your deepest spiritual desire? Do you long for more? The movement from desire to discipline is important. This forty-day journey to Easter invites us to be honest with God, and ourselves, about our sin and our hope, about our short comings and our holy longings. On Ash Wednesday, it begins with a cry for mercy and a commitment to follow Jesus on the way. When is the last time you were quiet enough to hear your own heart beat? To feel it? Sense its rhythm as if your very soul was trying to show itself to you in a marvelous and tangible way? Parker Palmer suggests “the soul is like a wild animal—tough, resilient, resourceful, savvy. But it is also shy…. if we will walk quietly into the woods, sit patiently by the base of the tree, and fade into our surroundings, the wild animal we seek might put in an appearance.” To find a sacred way forward, we must first create a foundation, or baseline, for God to build upon. Our starting point? Solitude. Do you read Scripture primarily for information or transformation? Do you imagine it as a text book or a love letter? There is room for both realities, of course, but in creating a sacred rhythm between God and follower of God, it is good to consider what it means to savor the Scriptures. Dietrich Bonhoeffer wrote, “The Word of Scripture should never stop sounding in your ears and working in you all day long, just like the words of someone you love.” What is your relationship with our holy text? What could God open to you if you opened the Bible in a whole new way? Civilizations have long valued and cared for the mystery that is the human body. The Christian practice of honoring the body is, as Stephanie Paulsell notes, “born of the confidence that our bodies are made in the image of God’s own goodness.” The complexities of physical health meet every single one of us; sometimes in similar ways, at other times in altogether opposite ways. However, as Paulsell also points out, “It is through our bodies that we participate in God’s activity in the world.” At the prompting of an angel, Elijah’s physical health became necessary to sustain his spiritual calling. It seems paying attention to our bodies can steady a sacred rhythm that will help God transform the world through our physical vessels. “Discernment is truly a gift from God, but not one dropped from the skies fully formed. It is a gift cultivated by a prayerful life and the search for self-knowledge.” (Ernest Larkin). There was a lot of discernment going on that first “Palm Sunday.” Everyone close to the Jesus movement knew a big moment was in front of them. Were they ready? Were they committed? If they watched the ‘game film’ of the Palm Parade on Tuesday, would they have wondered if they should have gone about the whole thing differently? The discernment of Jesus was clear. The question for us? Will we cheer or will we curse? How will we recognize and respond to the presence of God? Any musician will tell you that honoring the ‘rests’ are just as important as playing the ‘notes.’ Even so, we are culturally all about the notes and much less interested in the rests. The disciples, ready to party for the Passover and equally ready to act on Jesus’ next move to kingship were taken aback when Jesus essentially says, “Let’s start with the rest.” Amidst betrayal and greed and ignorance, Jesus chooses to serve and suggests we do the same. A service of darkness including scripture readings and sacred songs surrounding the crucifixion will be shared in a moving and meaningful way by our pastors, congregation and acapella ensemble, Avenue. Rhythm is simply defined as a strong, regular, repeated pattern of movement or sound. Gloria Estefan and the Miami Sound Machine’s “Conga” comes to mind. Rhythm denotes a repeatable pattern and, consistently experienced enough, forms a sustainable base upon which any great song can be built. The Christian song is one of resurrection upon which every other layer of music in our life is built. How is your life adding to this great resurrection song? Thomas Merton writes, “Ask me not where I live or what I like to eat… Ask me what I am living for and what I think is keeping me from living fully for that.” Let every hindrance fall away. Be amazed. Clear your lungs. Breathe deeply. And SING! Christ is risen! 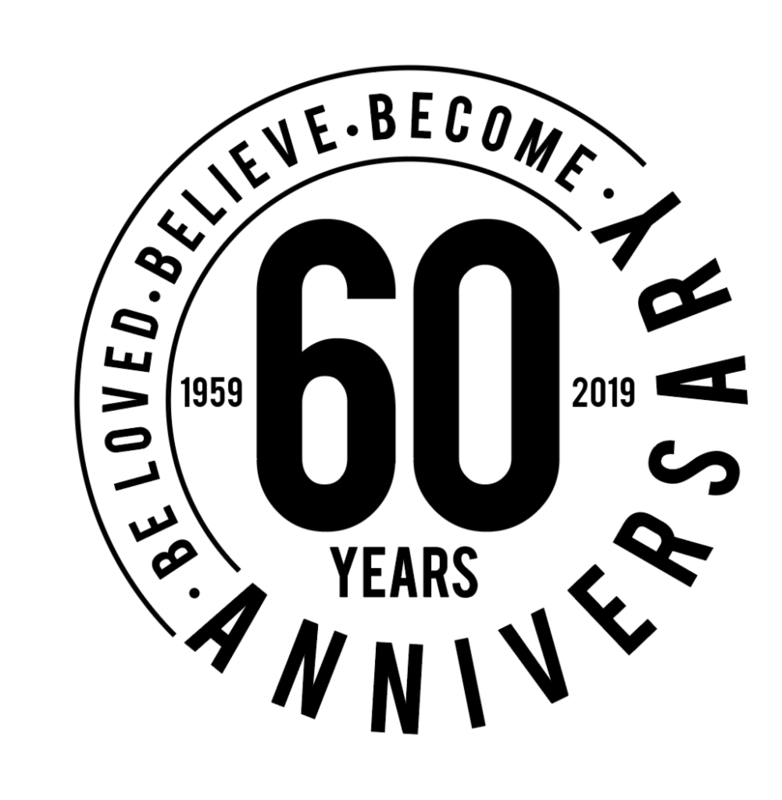 On January 27 2019, Harvard Avenue held its annual congregational meeting to review the church’s business of the past year, approve a budget for 2019, and receive the ‘state of the church’ address from Lead Pastor Mark Briley. 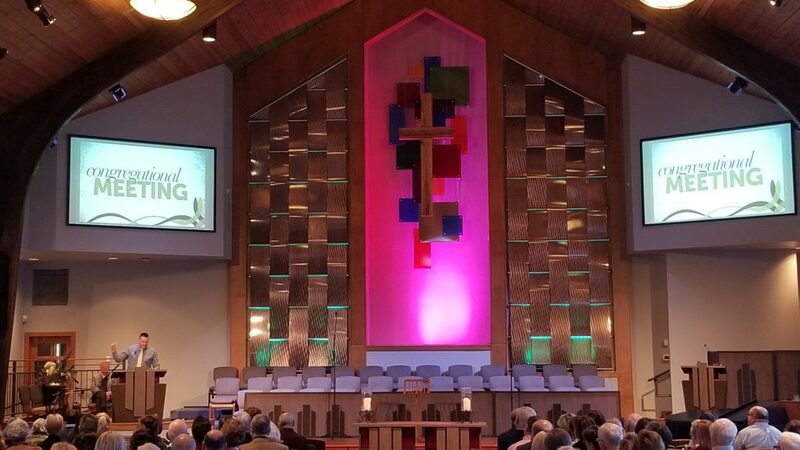 That budget ($1.2million) was vetted by the Finance Team, Executive Leadership Team, Ministry Leadership team, then moved for approval, seconded, and unanimously approved in a vote by the congregation. Here is the 2018 Harvard Avenue Annual Report. Print copies are available at both the Peake Commons and Sanctuary Welcome Centers. A one-page financial report is available from Nedean Guerin in the Finance Office. or READ a transcript of his remarks. We join together in daily prayer for this church, its leaders, congregation, and community. May we be ever more faithful. Highlight links within items will lead you to more details on the Your Week page. 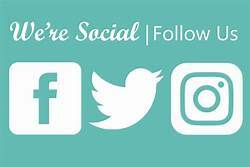 Email Communications Director Christy Southard to be added to the weekly email list. We pray you will hear – that you have heard, that you always hear – the cries of our hearts. Cries for leadership and decision. Cries for inclusion and understanding. Cries for welcome and freedom. Cries for safety and security. 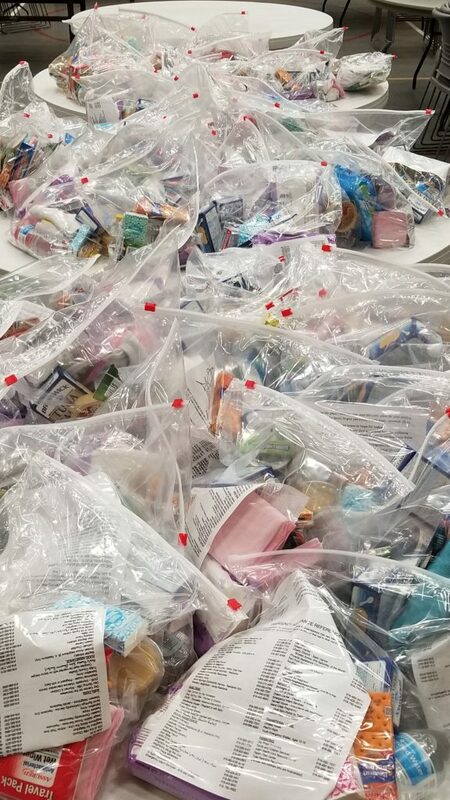 Cries for provision, and fulfillment, and possibility. remind us of who we are, and Who we (actually) follow. Remind us that you are God and we are not. Lead us in paths of righteousness for YOUR name’s sake. May we remember that you are slow to anger and abounding in steadfast love. May we remember that you have called us to the same. show us the created nature of EACH person in your world. Remake us as true children of the One God. show us not winners or losers but fellow citizens. Remake our competitiveness with a desire to build a new together. we are bold to give thanks for our present hope in Jesus Christ.